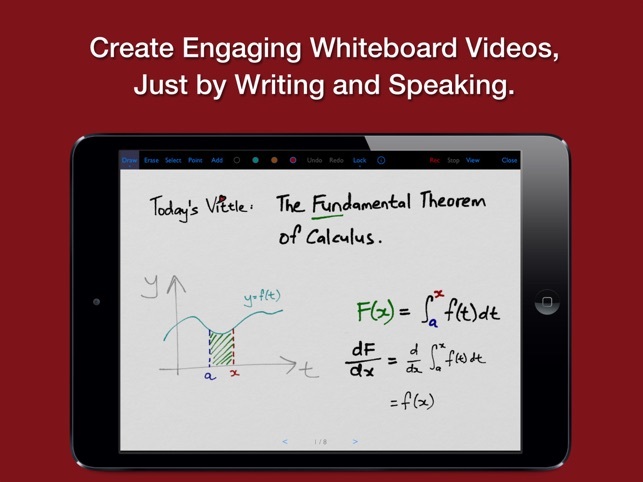 Produce Video Screencasts and Lectures, Right on your iPad. 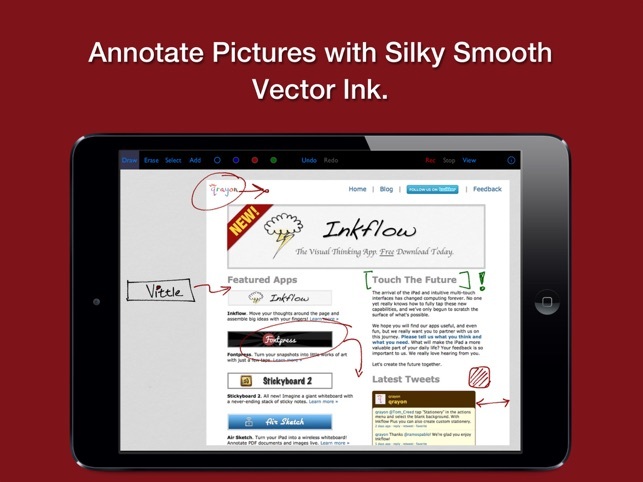 Vittles combine your photos, handwriting, and voice into engaging screencast videos that can be instantly shared with anyone. Get your point across, clearly and exactly, every time. 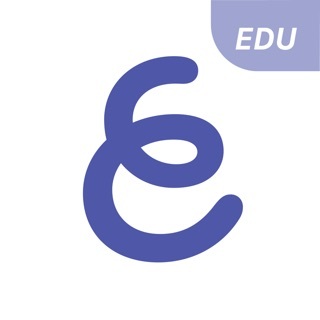 - Describe even complex topics in a clear and engaging way. 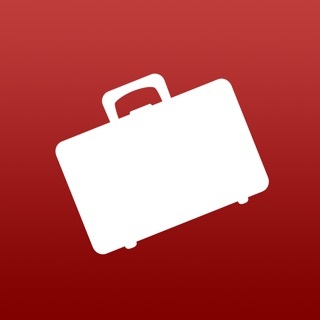 Use Vittle to build a video library on any subject. It is also a powerful tool for collaborating across time and space with any number of people. 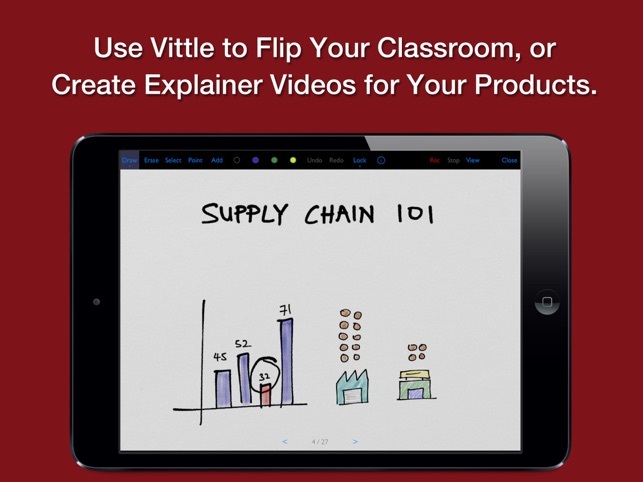 Vittle is a powerful tool for flipping your classroom. Screencastify your lessons into a reusable video library that students can watch and learn from on their own, then use valuable class time to focus on individual coaching. Or let your students use Vittle to record their thought process as they work through problems. 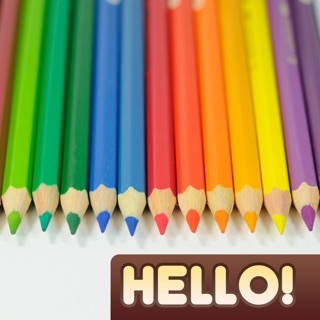 Let them explain everything to each other in short clips to help focus attention and raise engagement. Vittle produces video files that you own and control. They can be easily shared on Facebook, YouTube, Vimeo, or elsewhere. You can also email videos directly, or securely post them to your company server. No third party service or expensive paid subscription is needed. Download the Free Edition of Vittle today, and see for yourself how well it fits your workflow. 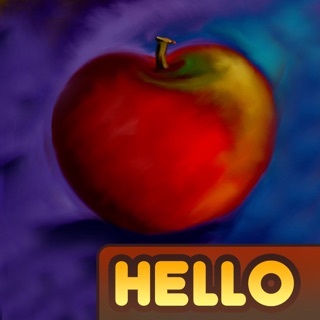 We strongly believe that the iPad is a powerful creativity device. 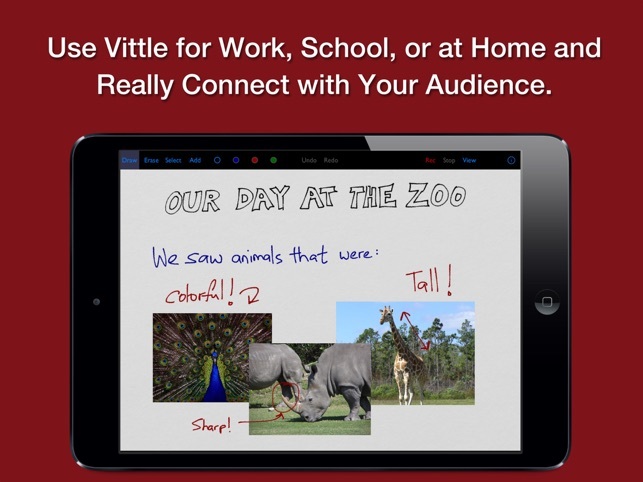 Vittle is a new kind of tool that's designed specifically with the iPad in mind. We can't wait to see what you'll do with it! + Support for new devices. 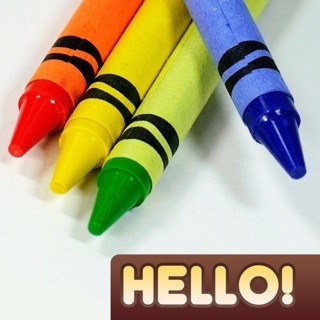 + Pencil 2 double-tap: Double tap on the Pencil 2 to toggle between the eraser and drawing. I LOVE this app but it is missing one dealbreaking feature that can actually bring this review from 5 stars to 2 stars. It is missing palm rejection. When I use my Apple Pencil, it frequently reads my palm as input and draws this gigantic line across the screen. Happens much too frequently for the app to be usable with an Apple Pencil. I like the direction this is going in. I do not feel it is useful for me at the current stage. One very cool feature even in the free version is the app records the line drawing and this can be exported and shared. 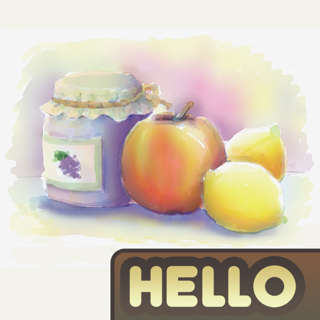 To make this a stronger app consider PNG exports or a format that supports alpha channel. Pressure sensitivity to connect with devices like the apple pen seem like they would be right in line with the direction the app is moving in. In the current version of this review I can begin drawing something. Once in awhile it detects my finger and makes a big line to some point on the screen often it is diagonal. Raise the resistance slightly so the drawing feels a bit more realistic. This app does just as it says it will. Records nice and smooth even on my old iPad 3! Very handy when it comes to getting the point across.